When Audrey was born I wasted too much time worrying about the most ridiculous superficial nonsense! I thought about things like her not having any fashion sense! That she might be fat! That mother-daughter time would never be how I had once dreamed… I’m so ashamed by these thoughts. One of the worst/craziest worries was that I would never think she was beautiful. Here we are at 14 months, she’s 100% the most beautiful baby I have ever seen. It should be a given that a mother would feel that way about her child. I suspect my blog posts will get a bit repetitive, I apologise in advance! But I’ve realised the importance/benefit of “raising awareness”. If people were more aware and if disabilities were a part of everyday life, those of us suddenly thrust into this world might not feel so awful/negative about it. October is Down’s Syndrome Awareness Month. In October 2012 I fell pregnant with Audrey. In October 2013 she was 3 months old. Thanks to Instagram I found out about DSAM and found all the DS hashtags that led to me to become part of a community of wonderful people enjoying life and sharing their DS experiences. Seeing happy families from around the word really did make a difference to me. It has given me hope, support and also the confidence to share our story and share Audrey with the world. Back in October 2013 I had around 80 followers on IG, a year on I (Audrey!) have 720! 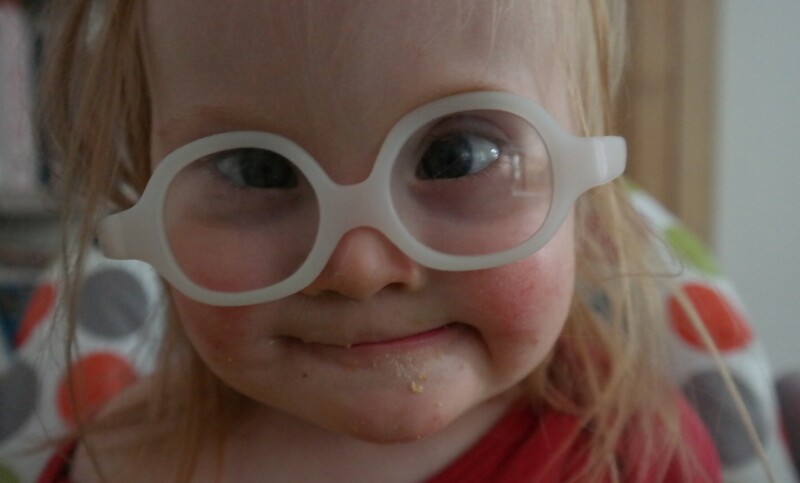 I must admit, my first thoughts about Down’s Syndrome awareness was; “I’m aware of it, as are most people, not really sure why we need to increase awareness”. Ha. But gradually I realised what the “awareness” was doing for me and how much strength you can gain from seeing other people go through what you’ve been through and come out the other side. And then I think about awareness and inclusion and what that can do for the world. If TV and adverts and mainstream media embraced special needs, disabled people, minorities… Maybe we’d all feel more comfortable around people who are “different” to the norm. Maybe we’d all feel less scared by “different”. And maybe a woman somewhere getting told her baby has DS won’t immediately feel the future has been destroyed, but will think “Oh, ok, unexpected, but people with DS lead happy and fulfilled lives, things are going to be ok”. 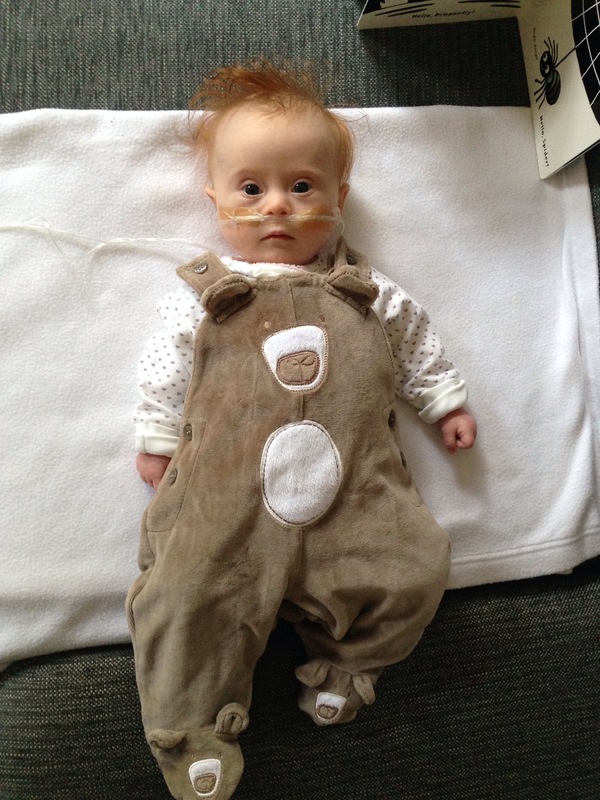 When you have a baby, you suddenly realise you are at the beginning of a very long journey. You look at this tiny bundle that is totally reliant on you and the scale of what you’ve taken on hits you – they need you for at least the next 18 years. My husband has this amazing positivity that can turn anything into a good thing. When Audrey was just weeks old he was saying how lucky we would be potentially never experiencing “empty nest”! I liked his thinking, however I had always (when thinking about having children) imagined the “pay off” towards the end when they look after you! It is natural to always be looking to the future (Where will our next holiday be? Where is my career going? etc), but Audrey is (slowly) helping me to focus on the present. Wondering and worrying about when she might crawl, when she might get teeth and what sort of adult she might be… It’s all pointless. I can’t predict these things and why do I need to know when these things will happen?! Do parents of “typical” babies fret about these things? 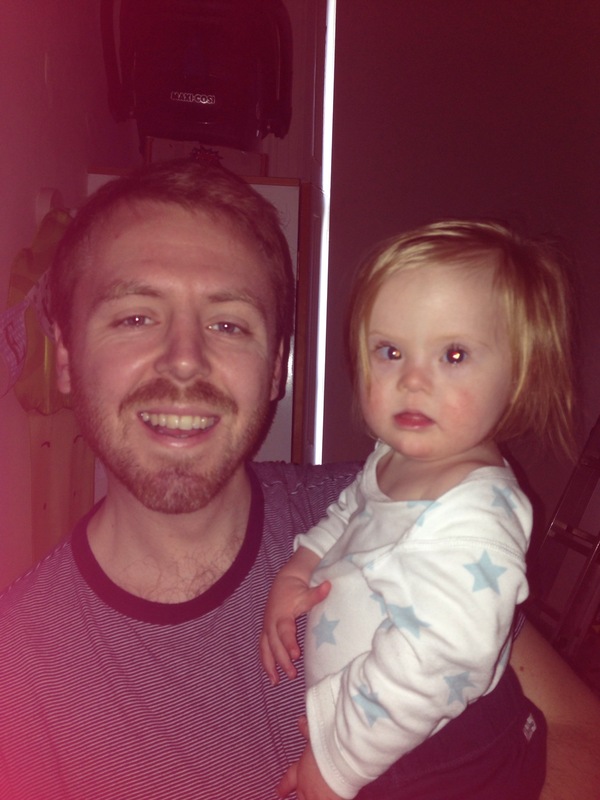 One of the biggest realisations after becoming a parent of a special needs child, is that life goes on and in not much of a different way to how you imagined it. 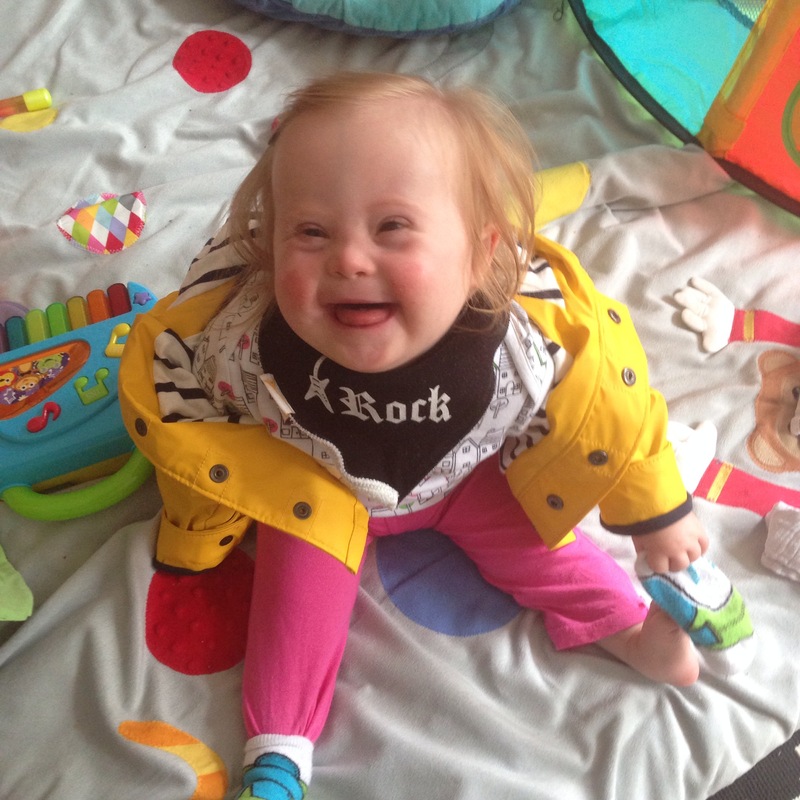 However there are times where I worry we are in denial about what having DS means to Audrey and her life. Other times I’m just thankful we are positive people and that we don’t let it get on top of us. 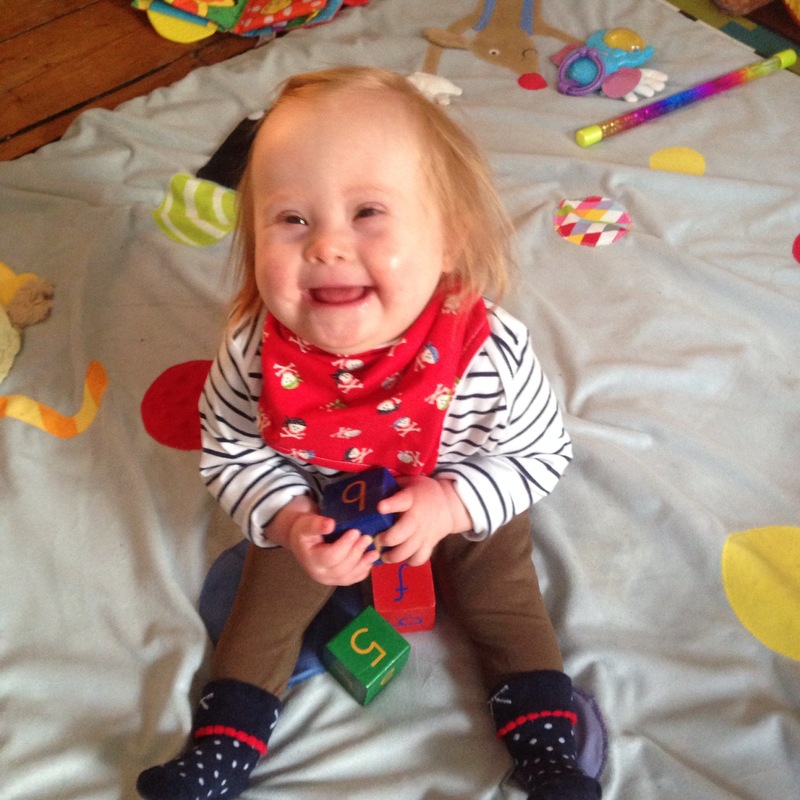 The fact remains that Audrey’s life will be different to that of a typical child. There will be more challenges and there will be difficult times, but that doesn’t have to be our focus, we can choose to carry on as “normal”. I have certainly said many times how glad I am that we didn’t know Audrey had DS when I was pregnant. The pregnancy was so happy and we had no time to fret or form ideas about this baby growing inside me… It was relatively worry-free. My husband and I say “stuff and things” as a reply that basically means “I can’t think of anything to say right now” or something like that. It’s difficult to explain our weird ways to others. This week I gave Audrey a cold sore 😦 it was always going to happen, I get at least 2 a year and Audrey and I kiss a lot).They don’t seem to be bothering her, but they are bothering me – mine has cleared up, she has one either side of her mouth in full swing, so we can’t kiss! Booo. In happier news we went to Woodfest in our local park on Saturday. 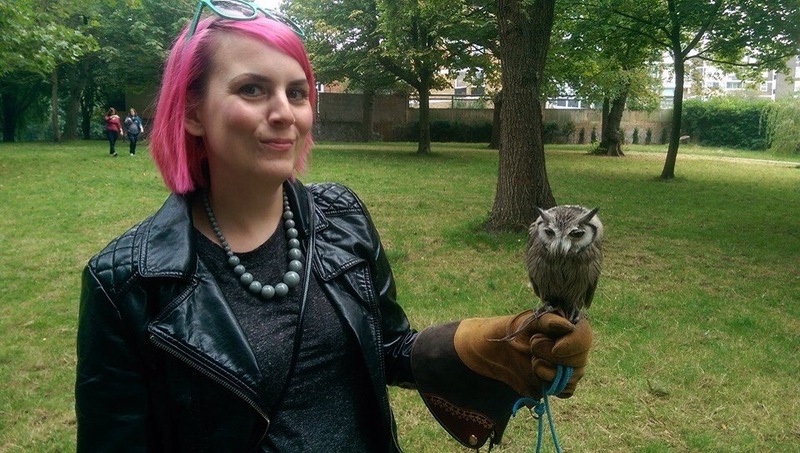 I held a tiny owl and Audrey watched. 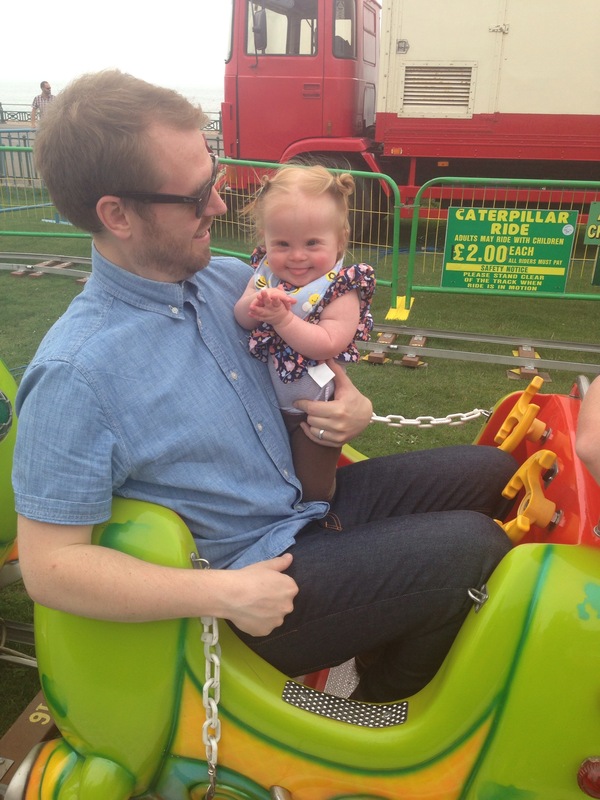 Then we headed to the Brighton Food Festival on Hove Lawns and Audrey went on her first fairground ride with Daddy! Audrey wasn’t that fussed about the ride, but she liked seeing me on the sidelines. Sunday we went to a DS picnic back at St Ann’s Well Gardens. I didn’t take any pictures, doh! But we met up with other local DS families and Audrey managed to nap even though a little 3 year old monkey called Thomas came over to investigate and squeezed her foot. She also slept through Elliot passing by whilst roaring like a dinosaur… Ahh the toddlers are quite an eye opener! 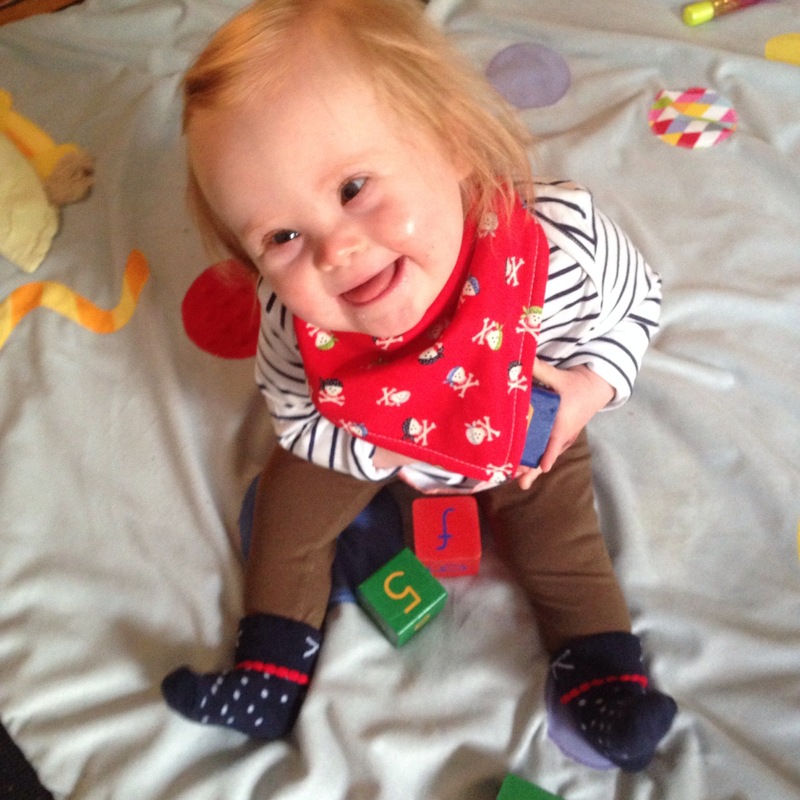 Fun to see other little uns with DS doing well and having fun with their siblings. There was even a guy and his wife who popped by – their niece was born last week and unexpectedly had DS. How amazing that he took the time to look into the local DS community, his sister having only given birth last week! What a fab uncle. Last night Audrey had her sleep study to hopefully sign her off from the care of the hospital (and confirm she doesn’t need to go back on oxygen at night), no idea how it went as she is in her own room these days. The probe was off her foot in the morning though, wriggly little lady! Fingers crossed….